international multi-talented multi-awards winning artist continues to romance the world with his music. Born in Baghdad (Mesopotamia “the cradle of civilizations”), Iraq, 1957, to a simple family, Kadim grew up fueled by passion for creativity. After exploring various forms of art including sculpting, painting, drawing, fashion, poetry, and others, he decided to specialize in music. Soon after he became a multi- instrumentalist, started composing his own music, and sometimes even writing and arranging them.He popularized the Iraqi song far beyond the country’s borders during very challenging times of war, with hits “Ubart il shat”, “Salamtak beed Allah”, & “Baghdad Kathora Al Hadeeth”. Kadim then after went on to re-define Arabic music with his genius compositions of Arabic poetry, especially that of legendary Syrian romantic poet Nizar Qabbani who hailed Kadim as “The Caesar of Arabic music”, and went on to build a groundbreaking, substantial and enormously popular body of work with huge hits including “Ini khayartoki” & “Zidini ishqan”, “Quolee ahibuka”, & “Ahibini”. 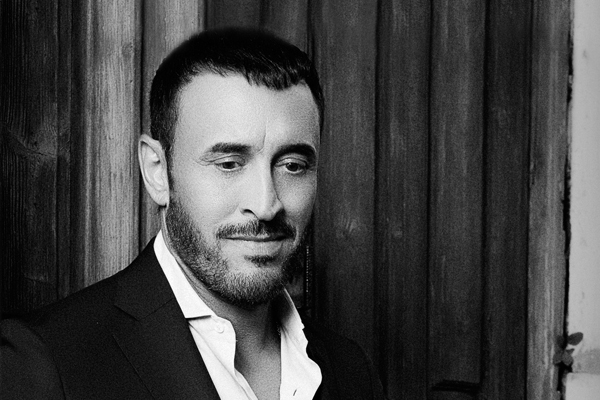 Kadim pioneered Arabic-International collaborations with various artists including Sarah Brightman on “The war is over”, Lenny Kravitz on “We want peace”, Paula Cole, One Giant Leap, TGU, & Quincy Jones & REDone on “Tomorrow”. Along with Italian Andrea Bocelli, and Spanish Julio Iglesias, Arabian Kadim Al Sahir is a “romantic world music legend”. Kadim is the only true pan-Arab artist with an unmatched popularity with all types of Arabic people, reinforced by his recent appearance as the lead coach on the Arabic version of international TV hit show “The Voice”, produced by Sony TV and broadcasted on the biggest Arabic TV network MBC, with over 100 million viewers across the globe. And the best is yet to come with the “Epic of Gilgamish”, considered the world's first truly great work of literature, it’s his labour of love for almost 15 years, as he adapts it into an opera. It’s his Mona Lisa, the masterpiece of his life and the most ambitious and anticipated project in the history of Arabic music. As a genuine humanitarian, with many recognitions including a “First Class Accolades Honour” by The Arab League, and a “Goodwill Ambassodor” by the UNICEF for the Middle East & North Africa, Kadim continues in striving to spread love through his music across the universe. D. 6. januar har Tivoli lukket, og der er derfor udelukkende adgang til Tivoli og Koncertsalen via hovedindgangen på Vesterbrogade. Tivolis Hovedindgang og dørene til Koncertsalen åbnes 1 time før koncertens start. Koncertens varighed kendes ikke endnu. Børn under 14 år, skal være ledsaget af en voksen. Ledsagerbilletter til kørestolsbrugere udstedes mod forevisning af ledsagerkort fra Danske Handicaporganisationers Brugerservice. Der er teleslynge til rådighed til arrangementet. Læs mere her.